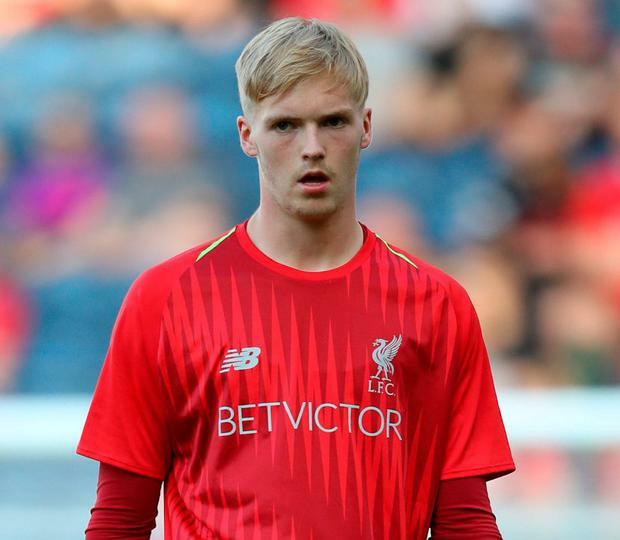 Irish teenage goalkeeper Caoimhin Kelleher is now part of Jurgen Klopp's first-team squad at Liverpool. The 19-year-old Corkman impressed for the first team during Liverpool's pre-season tour of America and he was left out of the Under-23 side against Manchester City on Friday night with Kamil Grabara taking the number one jersey. Following Liverpool's pre-season friendly win over Napoli in Dublin, Klopp hailed the impact of Kelleher. "He is an outstanding talent. Outstanding. Very cool with the ball, you saw that in pre-season when he played in front of 100,000 people, that he wasn't bothered about that which is a very important skill to have," said Klopp, in quotes reported by Balls.ie. "For most of his youth he was an outfield player, he has fantastic reactions. If nothing serious happens, he will have a really fantastic future. I don't know how many really good goalkeepers that Ireland have but one more is never a big problem. I like him a lot and he will be in our squad." Caoimhin Kelleher has been made third choice goalkeeper behind Simon Mignolet and Alission. Does this mean Caoimhín Kelleher is now officially Liverpool's third-choice GK?